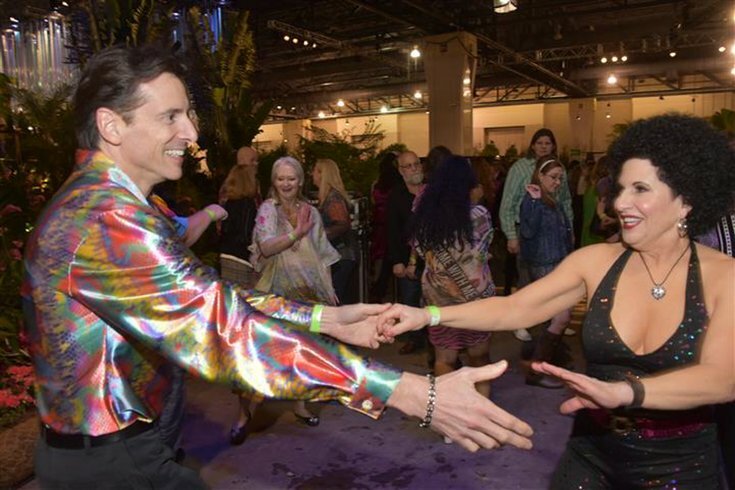 Joseph James Mingari and Jane Marie D'Amato dance to the disco beat at Flowers After Hours. 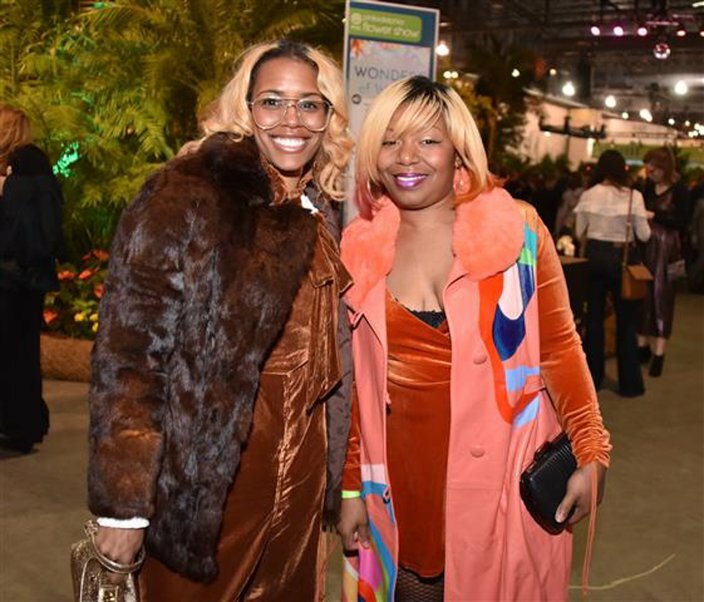 Saturday night was alright at the 2018 PHS Philadelphia Flower Show. Thirty minutes after the opening day of the show officially ended, the space bloomed into a 1970's discotheque for the Flowers After Hours Disco Fever party. Behind the turntables was DJ Robert Drake keeping the dance floor packed with tunes from Sylvester, Donna Summer and Evelyn “Champagne” King. The iconic Village People also performed, driving the crowd into a frenzy with their tunes "Macho Man" and "Y.M.C.A." 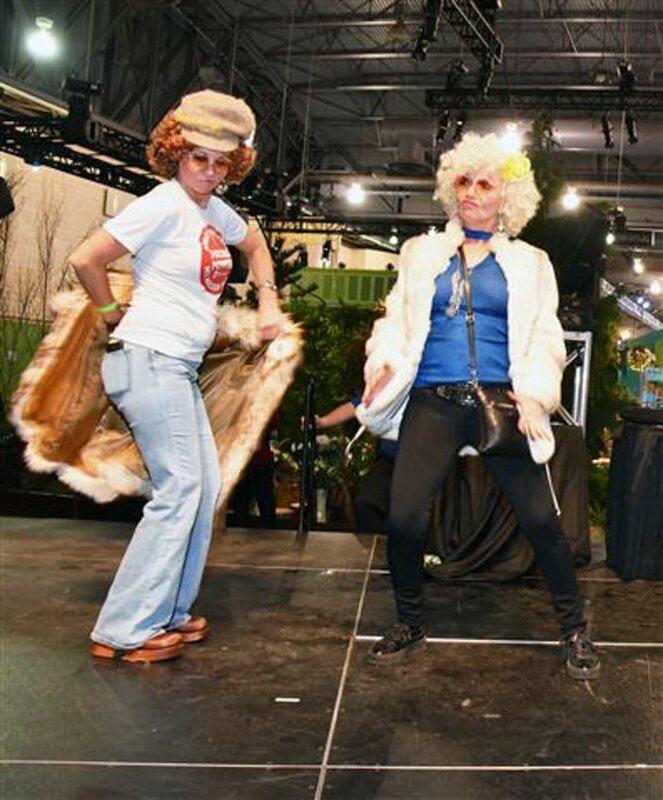 Many guests dressed the part wearing bell-bottoms, floral shirts and big hair. Proceeds from the event benefit the year-round programs of the Pennsylvania Horticultural Society. 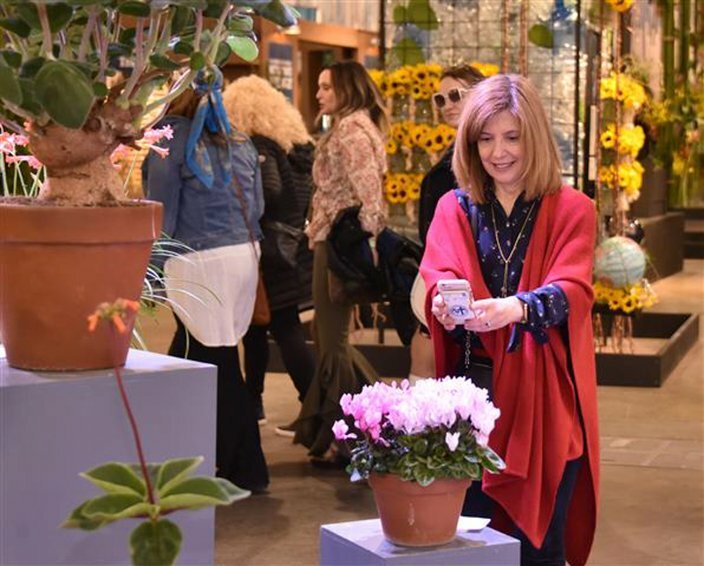 The 2018 PHS Philadelphia Flower Show at the Pennsylvania Convention Center runs through Sunday, March 11, 2018. Tee Chant, Abana Jacobs, Tu Bloom and Tom Basile at the Flowers After Hours event, Saturday, March 3, 2018. Ahyana King and Serena Saunders attended Flowers After Hours. 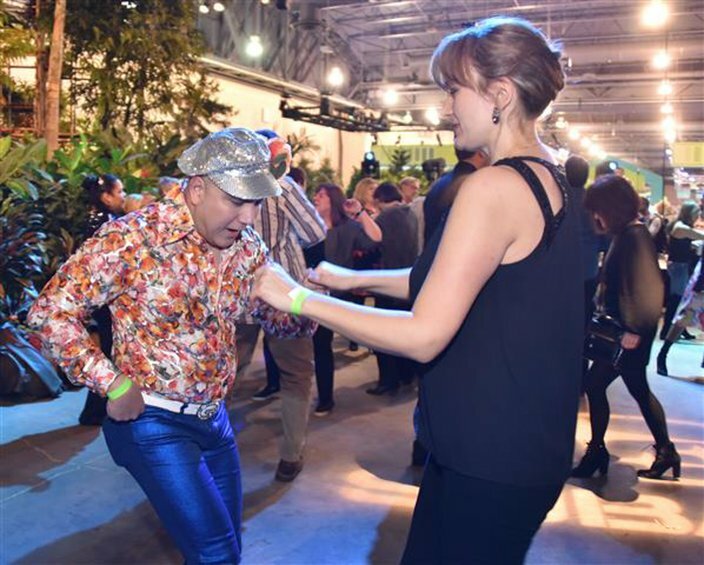 Noel Garingan boogies down with a friend during the Flowers After Hours Disco Fever event, Saturday, March 3, 2018. 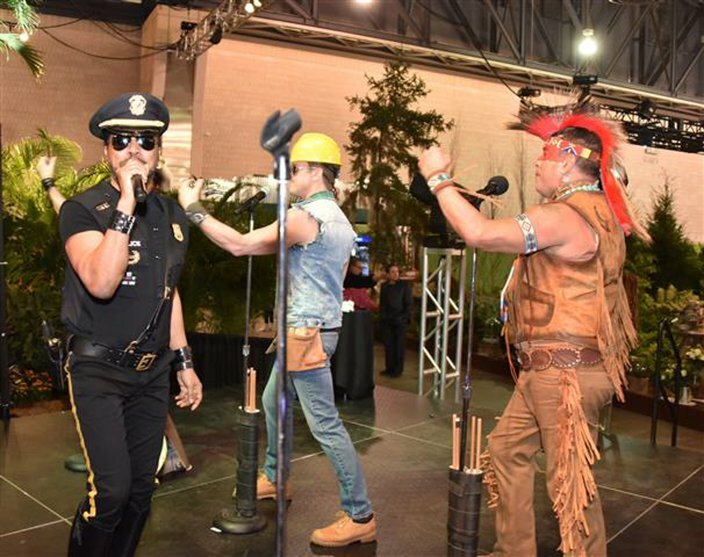 Disco icons the Village People performed at Flowers After Hours, Saturday, March 3, 2018. 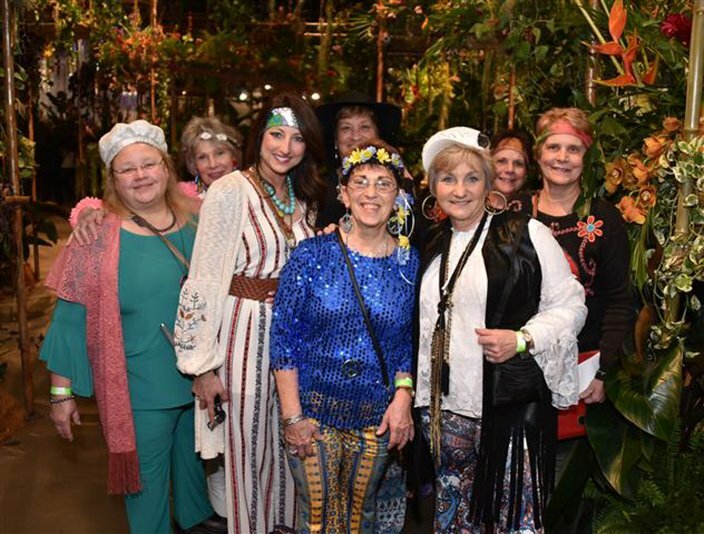 Attendees had a chance to explore the 2018 PHS Philadelphia Flower Show while attending Flowers After Hours, Saturday, March 3, 2018. 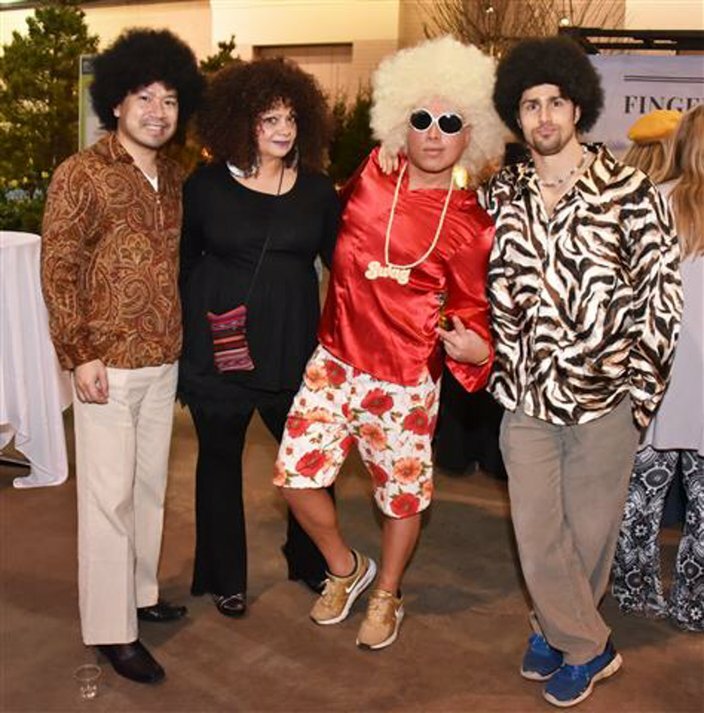 Many of the party goers came dressed in '70s attire at Flowers After Hours Disco Fever. Jill Swavely and Natalie Kenny at Flowers After Hours. 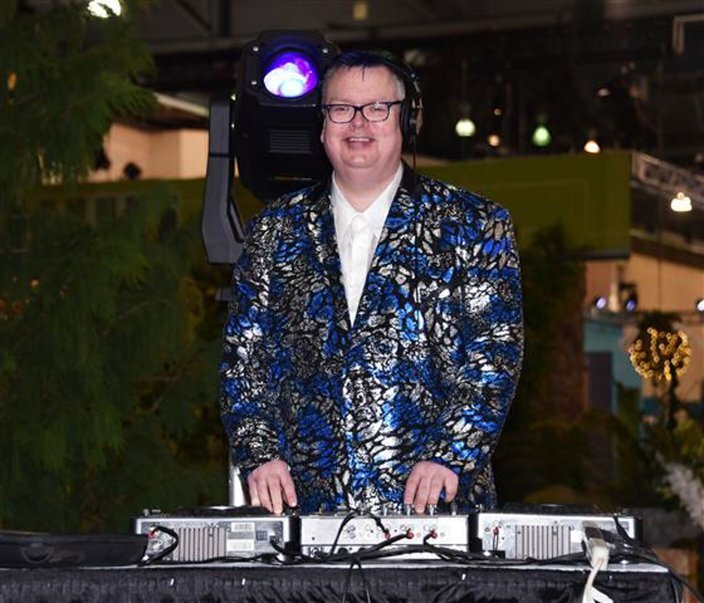 DJ Robert Drake kept the dance floor packed with popular tunes from the '70s at Flowers After Hours Disco Fever. 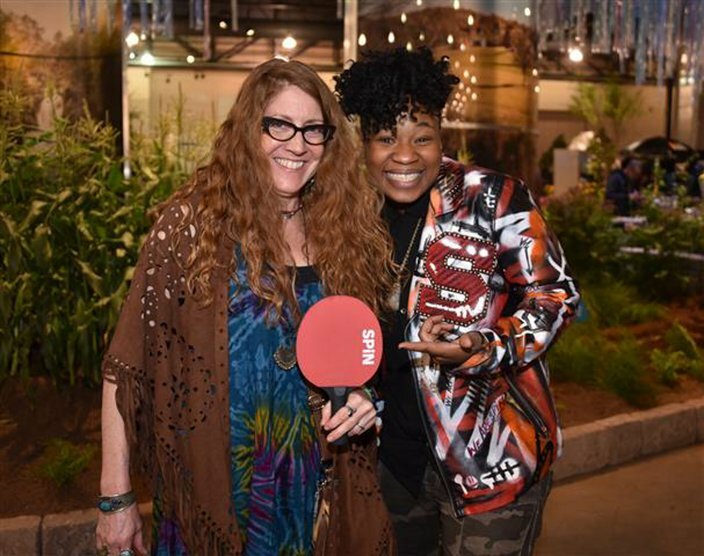 Tracy Young and Michele Vollmer won the Best Dressed contest at Flowers After Hours Disco Fever.